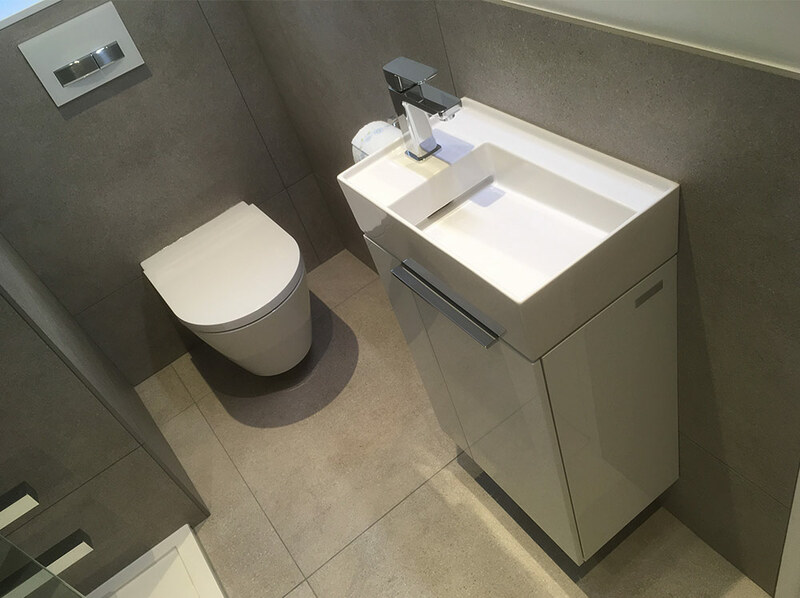 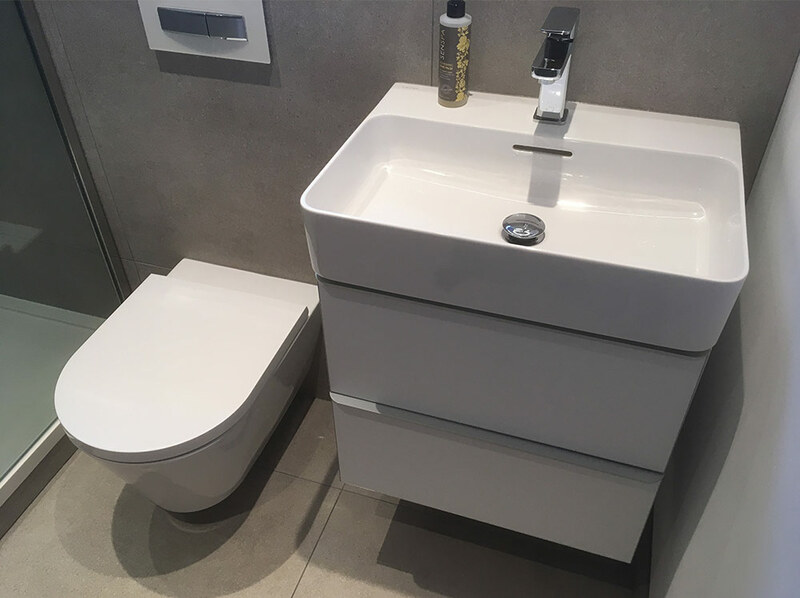 For the Hatherley Bathroom Project our client wanted everything to match. 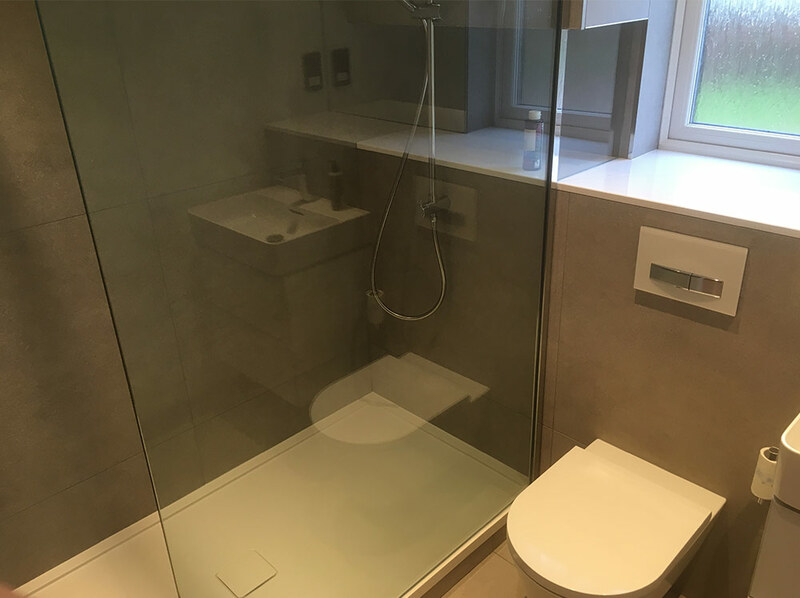 One bathroom had a bath and so in the other en-suite they wanted a big walk-in shower. 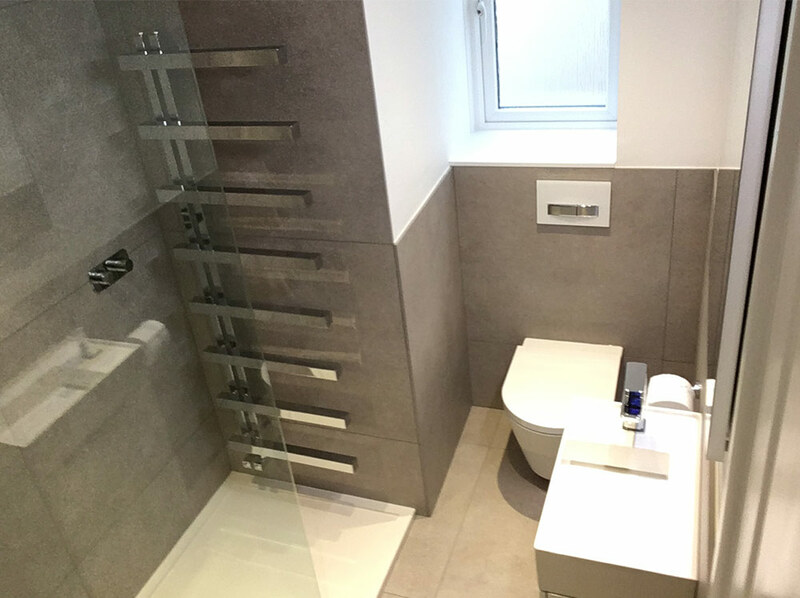 We felt that the large format porcelain tiles in sand colour would work really well on both the walls and the floor. 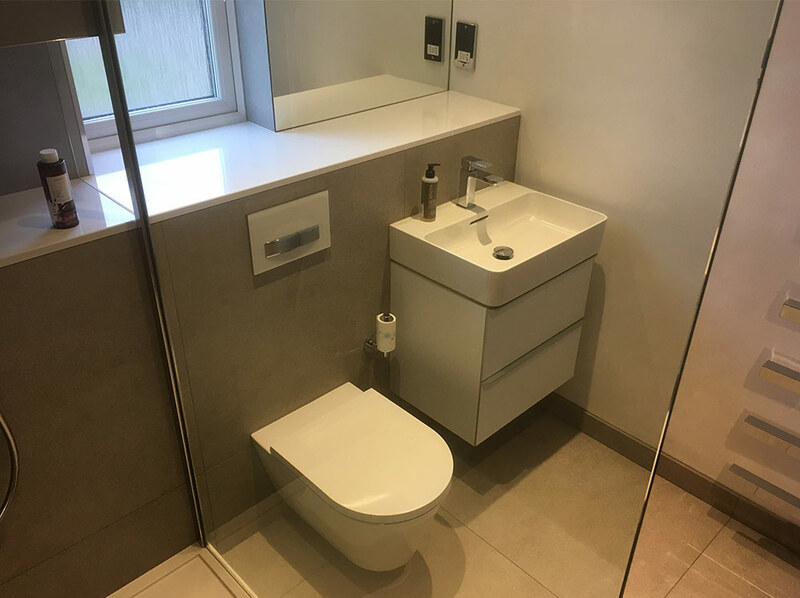 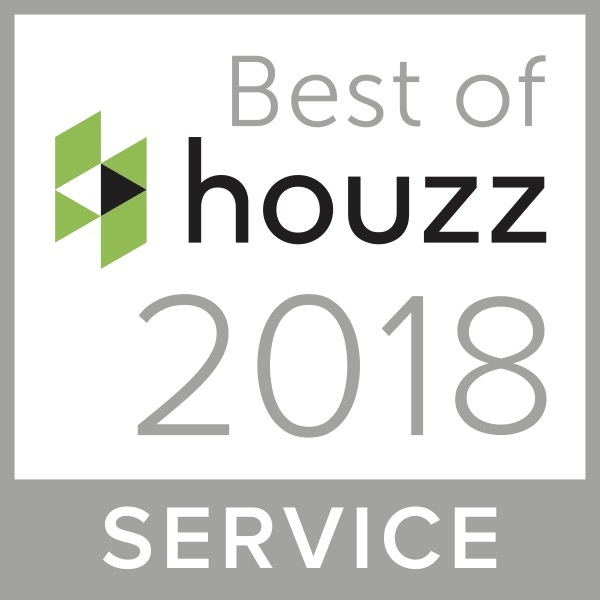 Often in bathrooms it is assumed that smaller tiles are needed but in fact large format tiles look expensive, have a contemporary feel and also need a lot less grout. 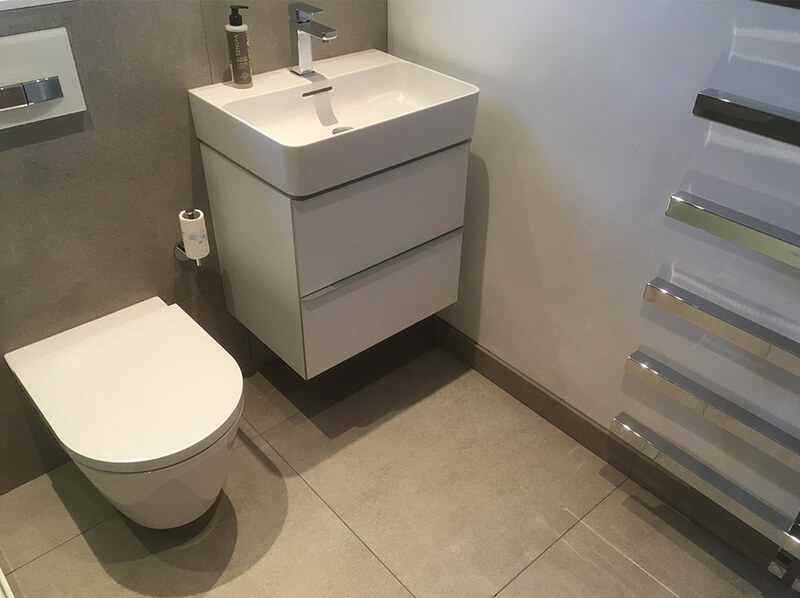 By keeping the same clean lines for both bathrooms left a clean, consistent and contemporary finish.